Just like collectors experienced in the 2016 release, 2017 Leaf Memorabilia Treasury provides five signed or unsigned pieces per box, but at a lower price compared to Leaf Memorabilia Vault. The set's lineup is not confined to one sport or genre, and instead includes subjects across many athletic pursuits as well as top entertainers and celebrities. While this does not mean that 2017 Leaf Memorabilia Treasury is cheap by any means, it can be a more affordable way to chase a variety of collectible items. 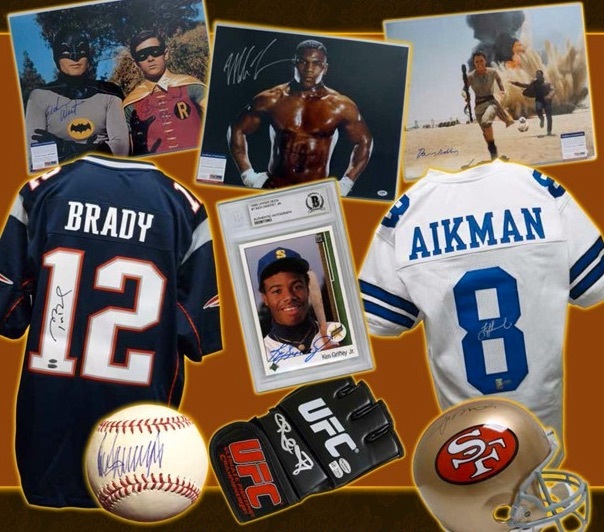 Some of the choices include a mix of signed photographs, jerseys, gloves, balls, and helmets. Game-used and show-worn memorabilia items are part of the unsigned portion of the release. Going to another level of the hobby world, collectors can also find trophies, awards and even high school yearbooks for celebrity subjects. Although a 2017 Leaf Memorabilia Treasury checklist was not provided, and is not expected in the future, the sell sheet teased options like a signed Tom Brady jersey, signed Joe Montana full-size helmet, and signed Ken Griffey Jr. rookie card. Autographed photos for Mike Tyson and Daisy Ridley as Rey (from The Force Awakens) are also featured.